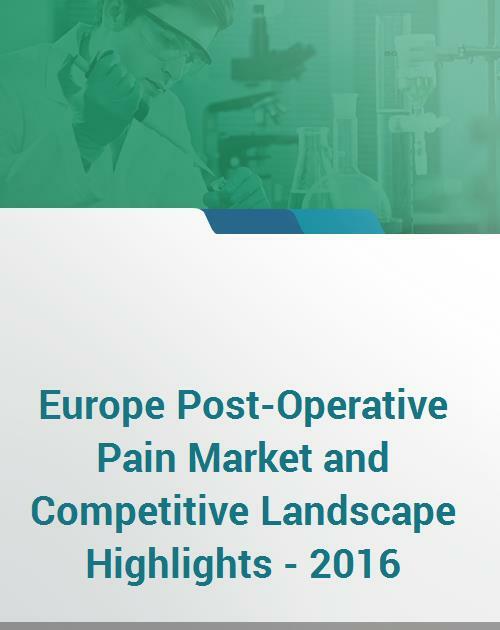 The latest research Europe Post-Operative Pain Market and Competitive Landscape Highlights – 2016, provides comprehensive insights into Post-Operative Pain pipeline products, Post-Operative Pain epidemiology, Post-Operative Pain market valuations and forecast, Post-Operative Pain products sales and competitive landscape. The research focuses on key countries such as Germany, France, Italy, Spain, and UK. This report is classified into nine sections – Post-Operative Pain overview including etiology, pathophysiology, and diagnosis, Post-Operative Pain treatment options, Post-Operative Pain pipeline products, Post-Operative Pain market analysis in Europe and by each country. The market analysis comprises of Post-Operative Pain epidemiology, key products marketed for Post-Operative Pain, market valuations and forecast, products sales and market shares.